The HIV and related hepatitis C (HCV) outbreak among people who inject drugs (PWID), particularly oxymorphone (OPANA®), in Scott County, IN, is an unprecedented situation. However, the conditions that led to the outbreak are not unique to Scott County, which highlights the potential for a similar situation to occur elsewhere. Since December 2014, 160 new HIV cases have been diagnosed among the Scott County town of Austin’s 4,200 residents, representing a “higher incidence of HIV than any country in sub-Saharan Africa,” as CDC Director Thomas Frieden has remarked. HCV rates among those diagnosed with HIV are estimated to be over 90% and the projected cost of treatment for these twin outbreaks is currently $100 million. 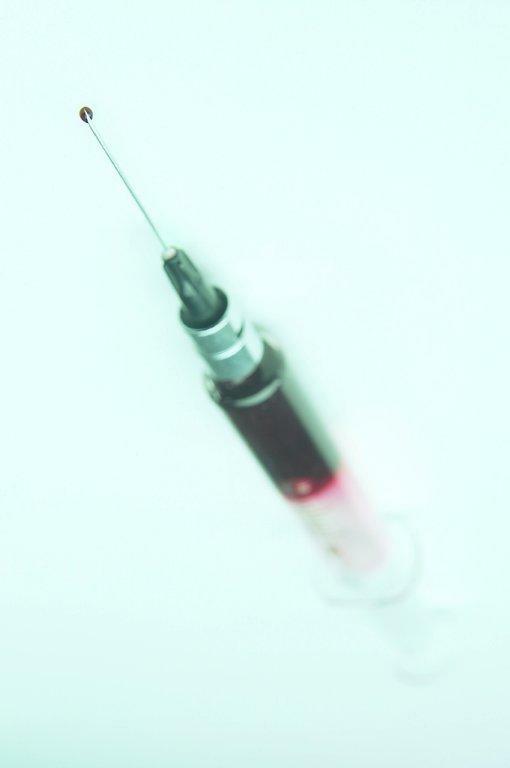 In response to this outbreak, Indiana’s Governor Mike Pence declared a public health emergency and authorized an emergency needle exchange program. Shortly after, the CDC issued a health advisory to alert local health departments and healthcare providers nationwide of the possibility of HIV and HCV outbreaks among PWID and to provide guidance to assist in the identification and prevention of such outbreaks. Local public health professionals have been trained to prepare for and respond to opioid-related outbreaks, including rising levels of fatal overdose. This epidemic was identified by a Disease Intervention Specialist (DIS) in December 2014. DIS are “on-the-ground” disease investigators who play a key role in infectious disease control efforts and emergency response. The rapid response to the outbreak in Scott County by local, state, and federal officials was critical to shortening the acute response period. Early prevention and preparation efforts in other places with rising levels of injection drug use are needed. The increase of prescription pain medication use by both people using it as directed by their doctors and those using it outside of supervised medical care is well-documented nationally. According to the CDC, overdose rates have increased roughly five-fold since 1990 as a result of increased opioid use. Drug overdose is the leading cause of accidental death in the United States, causing more deaths than motor vehicle crashes. Recent data show that overdose from prescription opioids appears to be leveling off; however, there has been a dramatic increase in heroin overdose deaths from 2012 to 2013. When supply-side interventions are implemented to monitor or reduce prescription pain medication use, such as changing pill formulations or prescription drug monitoring programs, many people shift to other more readily available prescription opioids or heroin. Rural poverty – In Austin, IN, one in five residents live in poverty, one in five has no high school diploma, and unemployment is high. People who live in disadvantaged economies are more likely to suffer from substance abuse. Doctor shortages – Austin has only one doctor. Not only is getting healthcare a challenge in rural places, especially without reliable transportation, but self-medication for pain in lieu of medical care is not uncommon. Stigma and discrimination – The lack of anonymity in rural towns may foment a strong stigma that discourages testing and treatment. Syringe shortages – Laws that criminalize possession of syringes lead to a shortage of syringes and high rates of people reusing and sharing their syringes. Lack of HIV-related funding, services, and awareness – A Planned Parenthood clinic in the nearby county seat of Scottsburg, IN, which provided HIV testing and referrals, closed in 2013 as government funding declined. Prevention programs, such as syringe access programs, are important providers of community education and outreach. In the absence of such programs, community members may lack awareness of how to inject safely to prevent the transmission of HIV and HCV. Increase or initiate overdose prevention education, including distribution of naloxone and training in its use to peers and first responders. A growing number of local health departments and community partners have been providing naloxone throughout the country, and recently the Rhode Island Medical Reserve Corps joined the effort to mobilize its volunteer base to provide opioid overdose prevention and naloxone distribution. To see if there is an overdose prevention program distributing naloxone near you, visit the Overdose Prevention Alliance program locator. Pass Good Samaritan-type laws, which allow overdose bystanders to call 911 without worrying about arrest for drug charges. Most overdoses are treatable if medical assistance is received promptly. Witnesses to an overdose often hesitate to call for help because of fear of police involvement. Good Samaritan amnesty laws are designed to increase confidence of bystanders to call 911 when witnessing an overdose. Set-up syringe distribution and disposal programs so that PWID have a new sterile syringe for every injection, as well as the ability to collect used syringes for safe disposal. NACCHO recognizes the efficacy of syringe access policies and programs, and supports swift action to remove legal, social, and funding barriers to sterile syringe access programs, including removal of the federal ban on funding syringe programs. Support the scale-up of drug treatment efforts, especially Medication-Assisted Treatment with methadone, suboxone, and buprenorphine to treat opioid dependence. A recent University of Washington study found that 30 million Americans lived in counties without a single doctor certified to prescribe suboxone/buprenorphine. The majority of these counties were in rural areas. Get “buy-in” from law enforcement officers for harm reduction measures. Educating and training law enforcement officers on harm reduction strategies and benefits can be critical to establishing support by local police, so PWID will feel safe accessing services. If syringe decriminalization is not an immediate option, some local health officials have worked with police to establish a non-arrest, non-confiscation policy for syringes whenever possible. There is an overwhelming need to address stigma, which can discourage self-care, such as accessing prevention services, testing, and treatment. Stigma can also limit employment, school enrollment, housing, and access to social and safety net services for PWID. Creating respectful and safe environments and services for PWID (such as those that provide privacy, if not anonymity) is critical, as is creating policies that discourage discrimination. To access additional information and resources to support local health department HIV and HCV prevention, care, and treatment practice and policy, visit NACCHO’s HIV and STI and Viral Hepatitis webpages. Additionally, learn more about how local health departments are engaged in addressing opioid and prescription drug abuse and overdose at the Big Cities Health Coalition website, a project by NACCHO. For the latest case counts, updates, and additional information, visit the Indiana State Health Department’s website and view this CDC Morbidity and Mortality Weekly Report. Hilary McQuie is a senior program analyst for NACCHO’s Infectious Disease team. She works with local health departments on such topics as HIV, STI, and viral hepatitis. U.S. Census Bureau. (2014). 2009 – 2013 5-Year American Community Survey. Tracey, M. et al. (2005). Circumstances of witnessed drug overdose in New York City: implications for intervention. Drug and Alcohol Dependence 79(2):181-90.